Atka Reid was born in Sarajevo in 1970. At the outbreak of the Bosnian war, she was a political science student. During the war, she worked as a reporter for a local radio station and as an interpreter for the foreign press. Upon her arrival in New Zealand she worked as a journalist in Christchurch. She later gained a Diploma in graphic design and worked as a graphic designer. She and Andrew, the New Zealand photojournalist she met in Sarajevo, live in Auckland with their two sons. Hana Schofield was born in Sarajevo in 1979. 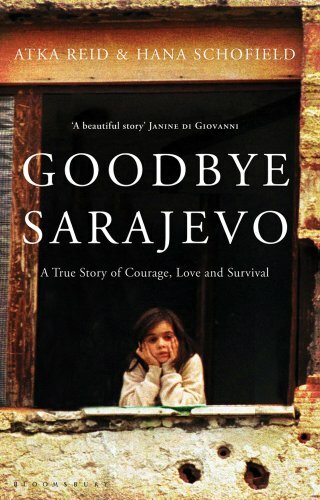 She spent two years living as a refugee in Croatia during the siege of Sarajevo. In 1995 she arrived in New Zealand with her family, speaking no English. In 2002 she graduated from the University of Canterbury with first class honours in Law and a bachelor's degree in Russian. Since then she has worked as a lawyer for a leading New Zealand law firm, and more recently for a City law firm in London. Hana is also a qualified performance consultant. She is married to James and lives in Auckland.